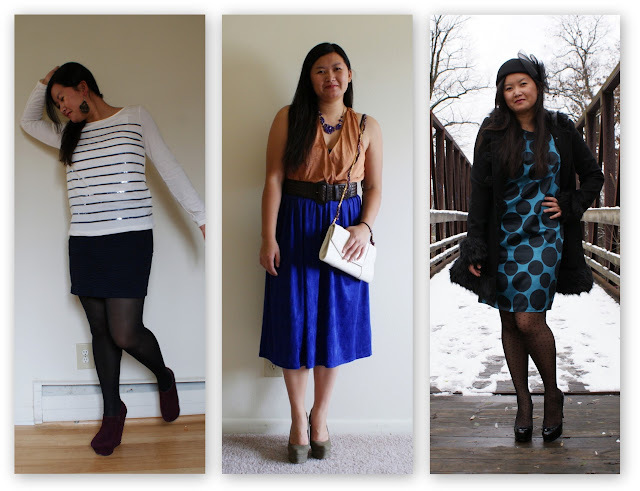 Here are days 4-6 outfits for Dressember. Winter is finally paying Michigan a visit, so you may see the inside of my living room more often this month. It seems I have an electrical outlet on every wall... Make sure you also check out the Dressember Facebook page to see how everyone is dressing up this month! For this outfit, I mixed stripes with more stripes, statement earrings and statement wedge booties. 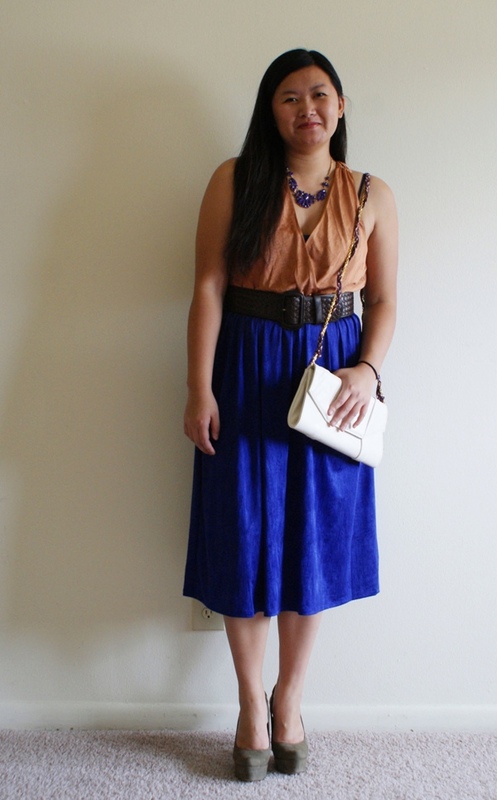 A little glitzy, a little glam but still casual enough for daytime. I wore this to see Handel's Messiah. 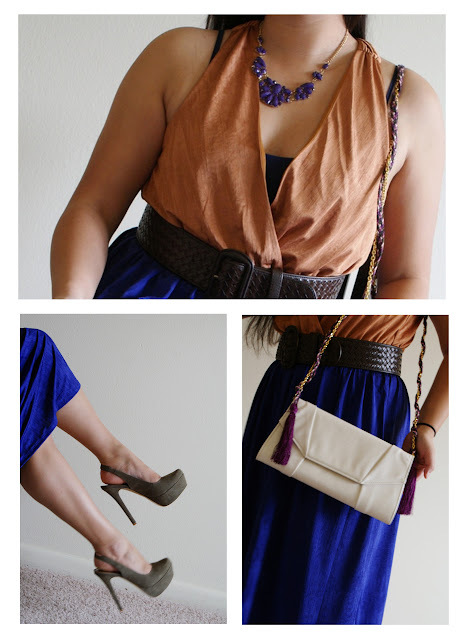 The dress came with a matching rope but I didn't think it help shape the dress, so I wrapped it around the chain of my clutch instead - a quick DIY. Going into Dressember, I knew that I would be overdress some days. This was one of those days. I must disclose that I did not wear these shoes all day. See the snow? Most of the time I was in black flat ankle boots. 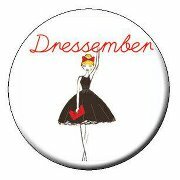 Are you participating in the Dressember challenge? It's not too late to join in!